Embracing the cycling legacy created by the London 2012 Olympics, Prudential RideLondon 100 allows keen amateur cyclists to take on the leg-testing route faced by the pros. Taking place just hours before the world's top cyclists compete in RideLondon Classic, an estimated 25,000 participants cycle in the 100-mile race. The route starts at Queen Elizabeth Olympic Park and follows closed roads through the capital, Richmond Park and onto Surrey's country roads and hills, before finishing on The Mall. If 100 miles seems too much, then register for Saturday's FreeCycle event - a more leisurely and family friendly eight-mile loop through central London over traffic-free roads. 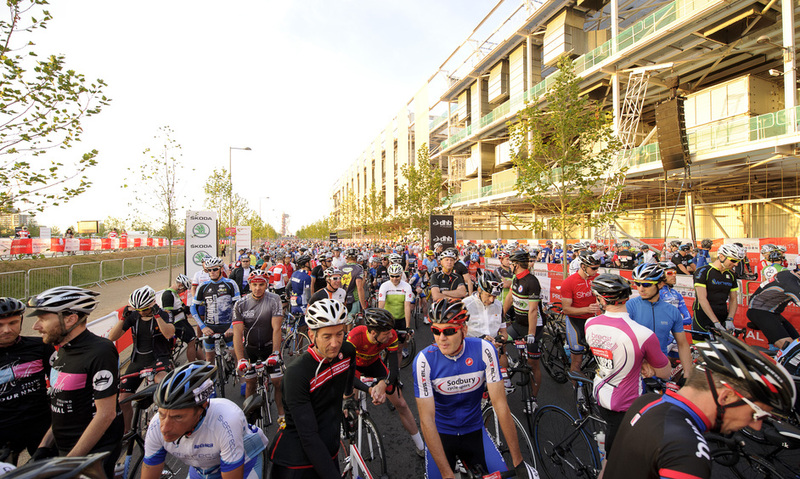 What are the best dining options near Prudential RideLondon-Surrey 100 London? Prudential RideLondon-Surrey 100 gyms, sporting activities, health & beauty and fitness. The best pubs near London Prudential RideLondon-Surrey 100. Prudential RideLondon-Surrey 100 clubs, bars, cabaret nights, casinos and interesting nightlife. Where to have your meeting, conference, exhibition, private dining or training course near Prudential RideLondon-Surrey 100. From cheap budget hotels to luxury 5 star suites see our discounts for Queen Elizabeth Olympic Park hotels, including Holiday Inn Express London-Stratford from 90% off.